Human Space* provided accessibility consulting on the suite designs for the Accessibility Designed Program by The Daniels Corporation. The program brings inclusive real estate options to Toronto by specifically designing condominium units for persons using mobility devices. The suites are designed to exceed Ontario Building Code requirements. The goal of the program is to provide beautiful and cost-effective accessible housing options for Daniels’ clients who use mobility devices. Through the ADP units the intent is to facilitate a person’s independence and ease of living within their own space now or into the future. 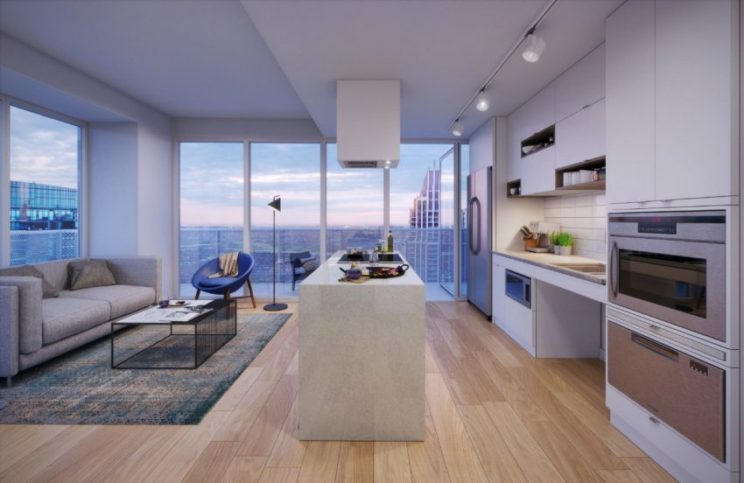 The ADP units integrate design elements that are challenging and costly to renovate post construction such as doorways, roll-in showers, and roll-out balconies. This forward-thinking approach would also support concepts such as 'aging in place’ or ‘living in place’, where spaces are designed to allow people to continue to live independently in their homes as their physical abilities change. In addition to developing the guidelines for the ADP units, Human Space worked with Daniels to develop a design practice that also integrated the space and usability for persons using mobility devices within the amenities and common spaces of their towers. 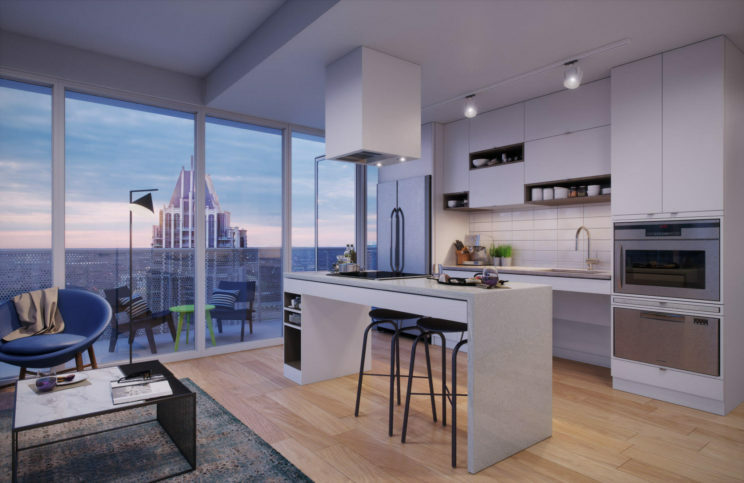 These accessible suites, which The Daniels Corporation will offer in all future developments, are popular among prospective homeowners with disabilities. Prospective homeowners can choose from a range of suite designs in one to three-bedroom layouts, and have the option of choosing an Alternate Kitchen designed to meet their individual needs.